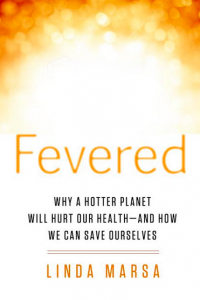 On March 20, 2014, the Public Health Institute’s CEO Mary Pittman hosted a Google Hangout with science journalist Linda Marsa, author of Fevered: Why a Hotter Planet Will Hurt Our Health—And How We Can Save Ourselves. In Fevered, Marsa explains that while we’ve all been exposed to frightening images of melting ice caps and drought-cracked lakes, there remains a major part of global warming’s impact that the media has neglected—how people’s health will suffer from higher temperatures and extreme weather. communities, and what consequences we should all prepare for unless meaningful strategies are swiftly put in motion. PHI’s Center for Climate Change and Health has been working to build healthy and climate-resilient communities that have the right tools to mitigate and adapt to climate change. Engaging the scientific community, policy makers and civil society, the Center promotes strategies that effectively address climate change and its impacts while at the same time generating co-benefits for health and across other sectors. Learn more at the PHI and Center for Climate Change and Health websites. Follow @feveredthebook, @climatehealthcx and @PHIdotorg. Like PHI and PHI’s Center for Climate Change and Health on Facebook. Sign up for the PHI newsletter. Share the video, and your thoughts/reactions, over Twitter using #PHIFevered. Mary A. Pittman, DrPH, the President and CEO at the Public Health Institute, is a nationally recognized leader in improving community health, addressing health inequities among vulnerable people and promoting quality of care. Pittman became the organization’s second president and CEO in 2008. Her primary focus has been guiding PHI programs to achieve greater impact on public policy and practice in public health. Under Pittman’s leadership, PHI has emphasized the integration of new technologies in public health and health care, increasing advocacy for public policy and health reform, addressing health workforce shortages and the impacts of climate change on public health. Before joining PHI, Pittman headed the Health Research and Educational Trust, a Chicago-based affiliate of the American Hospital Association, from 1993 to 2007. Previously, she was president and CEO of the California Association of Public Hospitals and a director of the San Francisco Department of Public Health. 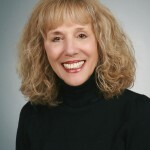 Pittman serves on numerous boards and committees, including the Institute of Medicine Roundtable on Population Health Improvement. teacher specializing in science, medicine and health. Currently a contributing editor at Discover magazine, she specializes in investigative stories, profiles, long form Q & A interviews, and consumer advocacy pieces and has written on a wide range of topics, from the crisis in the nation’s emergency rooms, the dangers of prescription drugs, the gaping holes in the food safety net, and the middle class uninsured to environmental toxins, medical philanthropy in Hollywood and the scientists behind the headlines. Her book, Fevered: Why a Hotter Planet Will Harm Our Health and How We Can Save Ourselves,about how global warming will affect our health, was published by Rodale in August, 2013, and just this February, Fevered won an honorable mention as best general nonfiction from the American Society of Journalists and Authors.